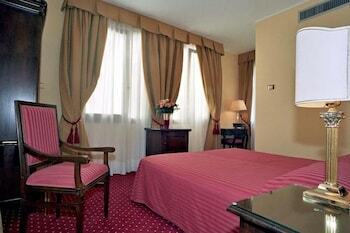 Located in Venice (San Polo), Hotel Acca is within a 10-minute walk of Rialto Bridge and St. Mary of the Friars. Featured amenities include a 24-hour front desk, multilingual staff, and luggage storage. With a stay at Malö Suites in Sant'Egidio alla Vibrata, you'll be within the region of Chiesa di Santa Maria del Lago and Piazza del Popolo. Free self parking is available onsite.